Potential Space in Katherine CBD! 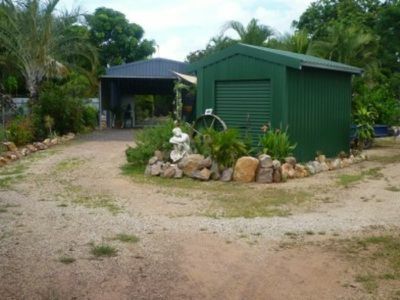 This property offers plenty of potential, close to shops and minutes from the centre of Katherine. 8 Hunt Court is a 2 bedroom, 1 bathroom shed-home situated on a large and spacious 1030 sqm block! The shed-home comes complete with a living area, bathroom, kitchen and external laundry. Looking for some stress-free living, this could be your new property. It is very functional and secure with high mesh fencing all the way around. Call Leah on 0437 456 474 to book a viewing.